The new Brigitte nerf could be uploaded as early as today. Overwatch’s crowd control abilities are where the game’s players are channeling all their anger these days. The argument is that these “stun” abilities take away control from the player. 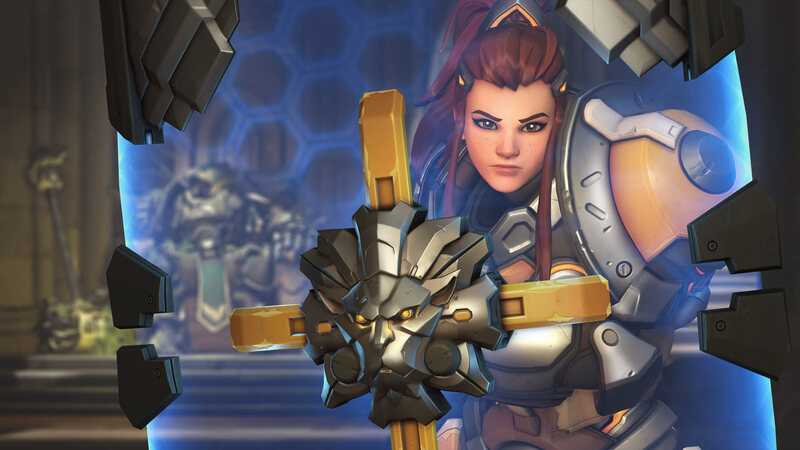 Stun abilities are hard to counter—some say Brigitte’s are impossible to player against for certain heroes, like Tracer. Overwatch has a lot of crowd control abilities, like Ana’s sleep dart, Mei’s freeze ability, and Reinhardt’s ultimate. Brigitte’s ignited this community ire because of how frequently her stun ability comes up. Blizzard’s listening. Blizzard is “looking carefully” at the amount of crowd control abilities it has in game, Overwatch developer Geoff Goodman wrote on the Overwatch forum. Blizzard is looking into removing or reducing effectiveness of some of the stuns and knockbacks in the game, he said. And first, it’s Brigitte and Doomfist. Her Inspire passive ability will have its cooldown reduced from 1.5 seconds to one second, and the duration increased from five seconds to six seconds. Total healing will be increased from 80 to 100. These are supposed to make up for the decreased damage from Shield Bash. Her healing output will increase, which Blizzard is hoping will keep her a viable pick despite the loss of her raw power. Blizzard said the Doomfist changes are “all about trying to give his enemies more opportunities to effectively fight back.” Seismic Slam is changing, with victims of the ability no longer losing air control while being “pulled in.” Meteor Strike, Doomfist’s ultimate ability, will have its “inner ring damage radius” increased from 1.5 meters to two meters. Maximum damage from the outer ring will be decreased from 300 to 200, which is where damage fall-off happens. “The Meteor Strike changes will make it harder to secure a ‘free’ kill on heroes without mobility such as Zenyatta or Ana, while still preserving its max potential damage when aimed well or when combined with other abilities such as Graviton Surge or Sleep Dart,” Goodman wrote. Goodman said these changes are planned to hit the Overwatch test server today, but no exact time was given.